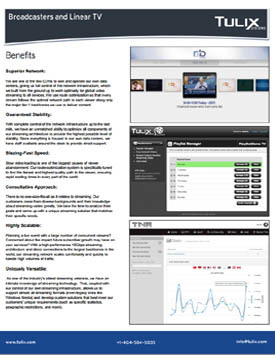 Tulix has excellent and economical solutions for OTT and IPTV Service Operators. 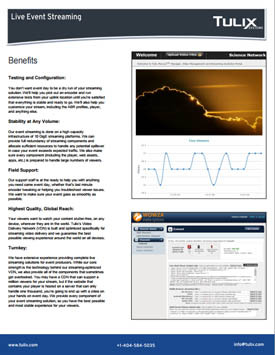 Please download a Solution Overview Brochure here. 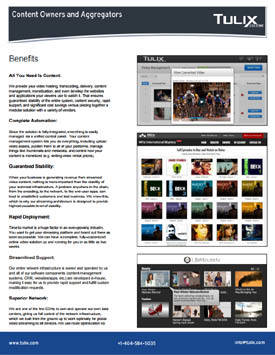 Tulix has excellent and economical solutions for Content Owners & Aggregators. Please download a Solution Overview Brochure here. 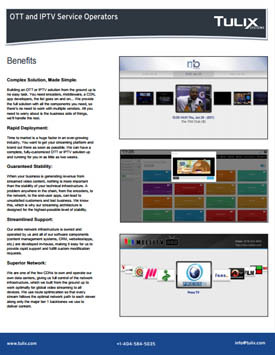 Tulix has excellent and economical solutions for Broadcaster and Linear TV. Please download a Solution Overview Brochure here. 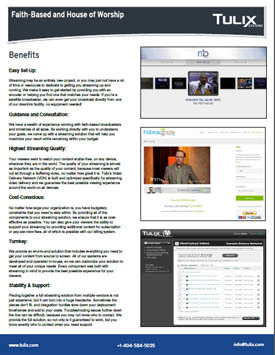 Tulix has excellent and economical solutions for Live Event Streaming. Please download a Solution Overview Brochure here. 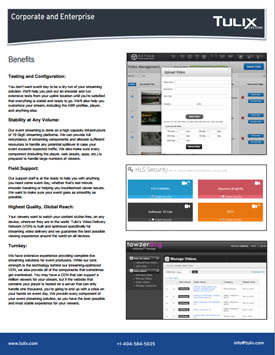 Tulix has excellent and economical solutions for Corporate and Enterprise. Please download a Solution Overview Brochure here. Tulix has excellent and economical solutions for Faith-Based & House of Worship. Please download a Solution Overview Brochure here.